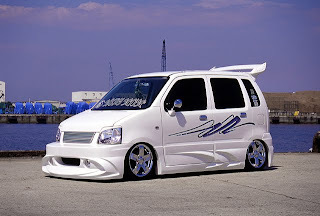 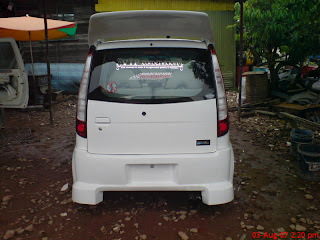 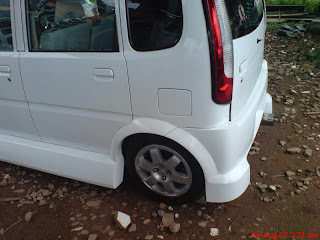 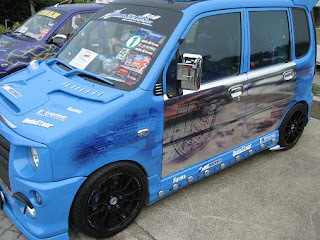 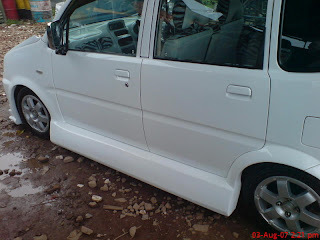 These are some photo of Perodua Kenari after heavy customization. 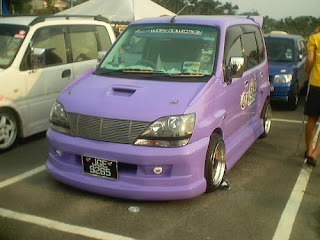 Headlamp for this Purple Kenari are also different, from Toyota Harrier i believed. 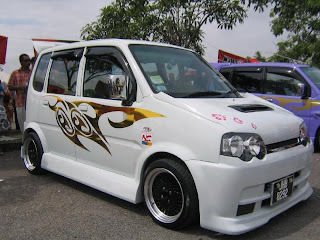 White Kenari with simple Gold-coloured vinyl. 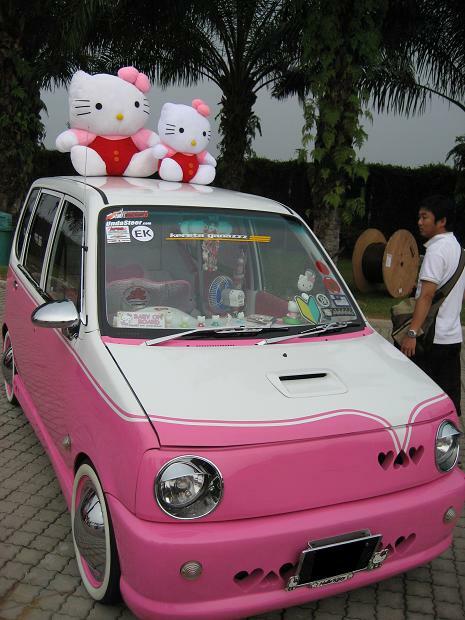 Cute pinky Kenari, with Hello Kitty as the theme, I am sure it will attract the young girl's attention. 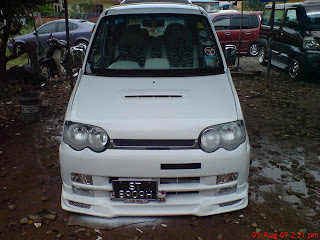 (Noticed the heart-shaped over the right headlamp and beside the carplate?) 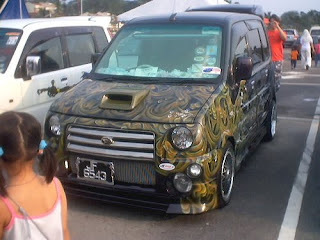 its cute!